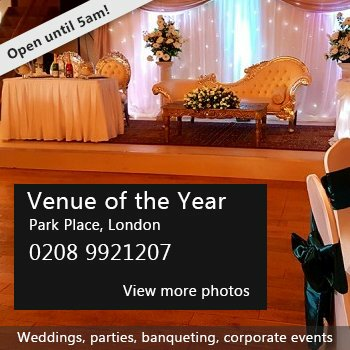 Situated a 10 minute walk away from Chingford Station, Mornington Hall is a popular and historic community venue. It's home to theatre group CADOS and available to hire for one-off events and regular bookings at very reasonable rates. The main hall is approx. 1800 square feet with a light oak wooden floor. The space offers access to a spacious and well-maintained garden, plus kitchen and toilet facilities including a disabled toilet. The hall is perfect for parties, dance classes, after school clubs, mother and baby group meetings, concerts, quiz nights and similar occasions. Tables and chairs can be provided for up to 100 people. Upstairs is the Huntingford Studio, also available for hire. The studio consists of a single room with oak flooring, a view over the garden and access to the kitchen and toilet facilities downstairs. It's ideal for small classes and meetings. Tables and chairs can be provided. Availability: Weekday, weekend and evening slots available. There have been 0 reviews of Mornington Hall. If you would like to send Mornington Hall a booking enquiry, please fill in the form below and click 'send'. Perhaps some of the following halls within 5 miles of Mornington Hall would also be of interest?